Pulau Pinang, Malaysia – October, 2013 – Our customer - AVX purchased SST5100 to producing advance capacitor for communication devices. The devices functionality is very critical to the process. Thus, SST 5100 was offer a stable and very good solution for them. 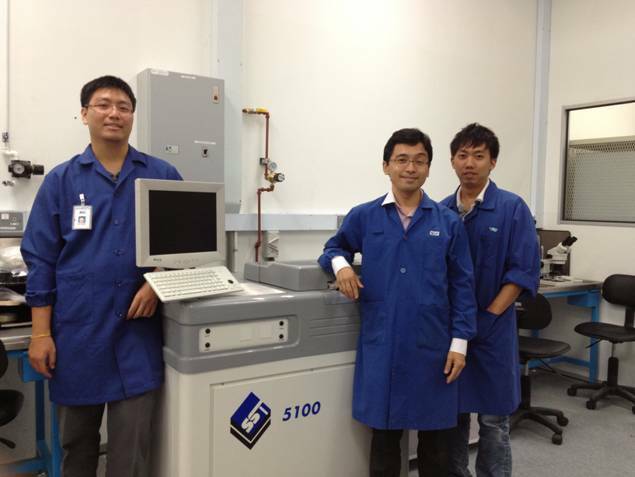 Dymek has partnered with SST, and works together with the laboratory to support hi-tech industries in Asia. The Model 5100 is a programmable vacuum and pressure furnace offered by SST International for production soldering of high reliability electronic components. Advanced technology, provided by the system, allows users to create void-free solder joints without the use of flux. The Model 5100 provides precise automatic control of heating and cooling ramp rates. This system allows for rapid heating up to 450 ºC and rapid cooling in an inert gas environment from vacuum levels below 10 millitorr to pressures up to 40 psig. Machine control is provided by an embedded control system operating in a Microsoft Windows® environment. An unlimited number of process profiles can easily be created and stored in the controller. An optional enhanced control system provides real-time profile graphing and data logging for quality control and off-line data analysis. Process heating is provided over the entire work area by a close-coupled planar infrared heating element. Custom-machined locating fixtures may be ordered to use with the standard heated platen. An optional rapid cooling system can be provided to cool the process area while still under vacuum.